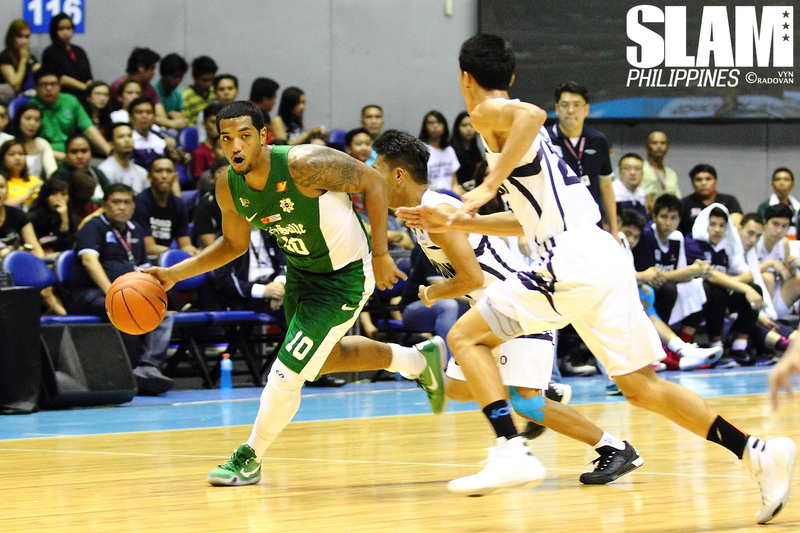 The UAAP Is home to the most popular collegiate basketball players in the country. There is no denying that at all. Whether they’re popular for the right or wrong reasons is another discussion altogether. That’s why in the PBA Draft, a number of UAAP players have been mentioned time and time again as potential top picks for teams. But what makes them such tantalizing prospects? Are the reasons for their fame actually valid? How do they actually manage to match up with their fellow UAAP players? We’ll try our best to answer those questions below. This was a toss-up between Manuel and Louie Vigil, but I had to go with the former UP Fighting Maroon here. Vigil has the potential to be a solid option in the future, but you can’t go wrong with Jett Manuel. During the Combine, there were instances where Manuel would play as the point guard but it’s clear he’s most comfortable playing the wing position. He’s an effective spot-up shooter, who’s even added a step-back three to his arsenal. There’s work to be done, but if you’re looking for a safe wing player who can play both ends of the floor, Manuel is your guy. Jose did not dominate the UAAP. 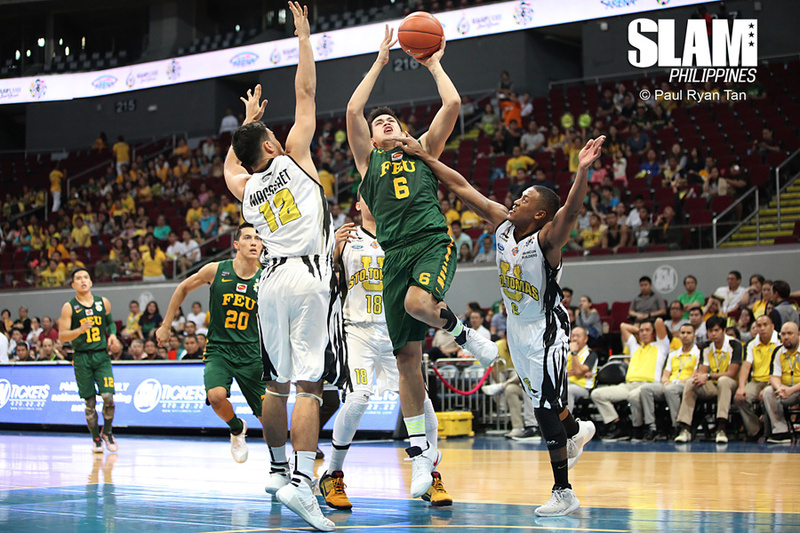 That’s because he was surrounded by talented players playing in a solid system in FEU. But when you assess Jose’s overall game, you see a player that fits the modern game very well. He isn’t a stretch four in terms of having a jump shot like Mick Pennisi (the OG sweet-shooting big man) or Reynel Hugnatan. Jose is an effective playmaker, who is best used in the pinch post as someone who can give hand-offs, screens, and give drop passes from there. He can even be relied on to handle the rock in fast breaks, as his ball-handling isn’t half bad at all. His shooting needs work in order for him to be a dominant force. But whatever team gets Jose, gets a player who can be inserted in any system to either do the dirty work, or to help out with the flow of one’s offense. This may be controversial to many because of how Jeron is perceived in the UAAP, but hear me out. Jeron Teng is one of the best scorers in this batch, and his body screams PBA ready. In fact, during the combine, he would post up guys bigger than him, and somehow, he’d barrel his way into the paint to either pick up a foul or kick it out for the pass. But that’s the thing with Teng: his best move, the drive to the hoop, isn’t enough in the PBA. He still has to work on his jumper in order for him to be truly effective in the next level. One thing about him is that he’s very dominant with the ball. That’s both a blessing and a curse. He can join a team, dominate the possession and work out as a playmaker fine since he is a capable pick and roll initiator. But he will most likely play the 3, and sometimes even try playing him as shooting guard. This is where the improved shooting will play a role. 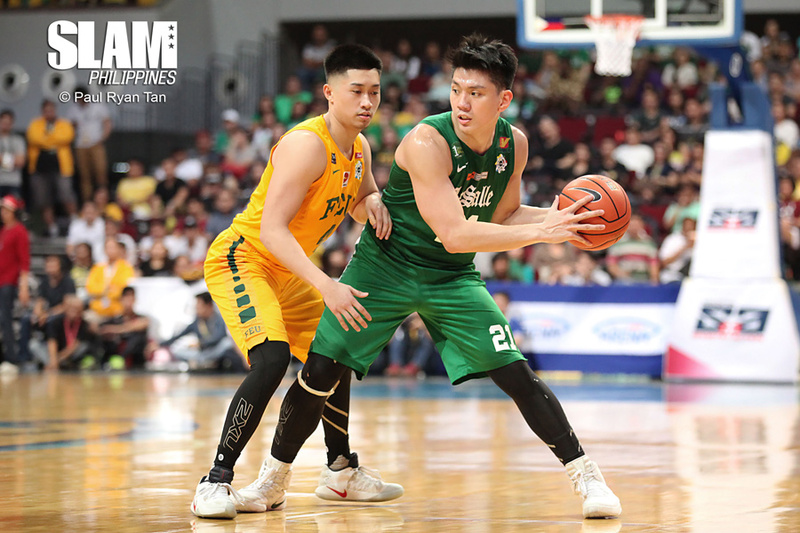 Teng will need to keep defenses honest to be able to get to the paint and create for himself and others. There’s upside because of his physical tools and his skillset now, but he needs to improve to be the franchise-changing talent that he’s touted as. Jason Perkins had a rough end to his career as a Green Archer after being sparingly used. 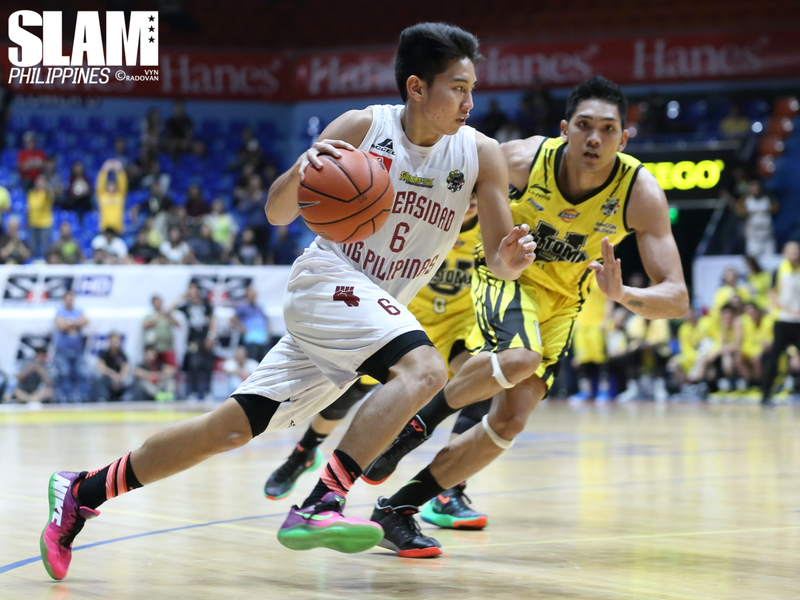 However, during the Draft Combine, Perkins was allowed to showcase the skills that made him a Mythical Five member during his rookie year in Season 76. Known as Hefty Lefty, Perkins showed he isn’t all fat. He looks leaner now, and he used all of his muscle to barrel his way versus bigs who he gives up some height to. He still has the three-point shot from the corners or the top of the key, and he still loves to use that post-up fade-away move he did with La Salle. He’s never going to be a guard despite his lack in height. But there’s nothing wrong with that. Jason Perkins can look at guys like Reynel Hugnatan as inspiration when it comes to how he should play in the pro level. His post-game needs work in terms of getting to the rim, but don’t be surprised if he manages to develop this eventually. That’s the reason why he’s in this spot on the list. Perkins has a defined role in the modern PBA. He’s a big man that is physical and can shoot from outside. If used properly he will find a nice role in some rotations in the league. What impressed me the most with Kiefer Ravena in the Draft Combine wasn’t the scoring he normally did or even his athleticism. 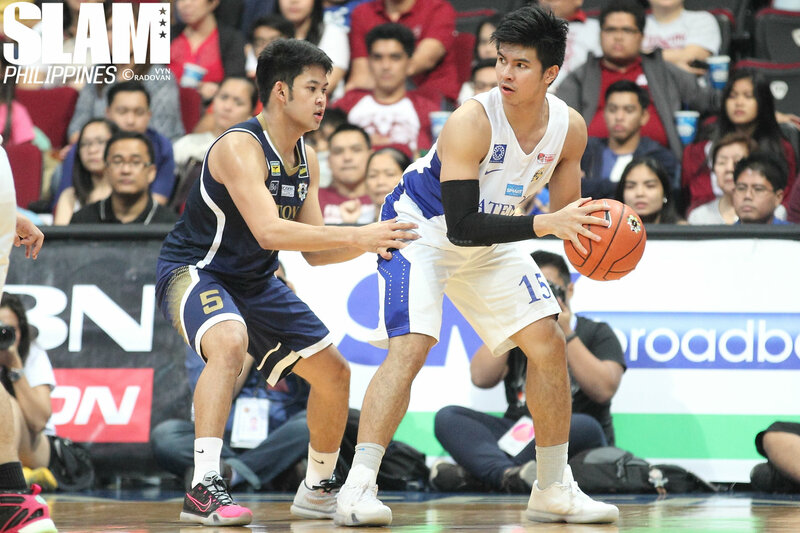 During the start of games, Kiefer would always look at his teammates, direct where they should go, and act like a coach on the court (the good kind of coach, mind you). Defenses had all their eyes on him, and that allowed him to dish out some great passes in the half court. All of those qualities scream point guard, and that should leave some doubters quiet for the time being. There are still things to work on such as some errant passes and his shooting. But overall, Kiefer Ravena is an even more complete package than what he was when he came out of Ateneo. The scoring will always be there, but his playmaking and Basketball IQ is what will drive teams to try and trade pieces in order to get one of the top two picks. Is he a game-changing talent? Maybe. But for sure, he’s one damn good basketball player.